i luv dis song sooooooo much!!!!! my immortal is my fave song.. always! I just heard this song a week ago in a restaurant and asked the server who it was. I fell in love with her voice. She has a very haunting voice. 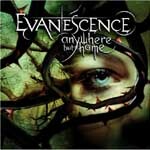 I am now an Evanescence fan. I play "My Immortal" over and over and over. I'm 45 years old, therefore, you touch the heart of all ages. I loooove this song i listen to it everyday after school over n over again. I usually listen to hip hop and r&b but this song is really deep i love the lyrics the tone and the beats on the instrumental being a songwriter myself i find this truly inspirational. Some people find this song depressing but i think it's awesome!!!!! This song is the one for me. I have been listening to it since it was out. Its almost 2 years but its still my favourate song to listen to anytime. I'm sure still ten years from now i will be listening to it. Thank you evanescence for this beautiful song and Amy for your amazing voice. I've always listened to country music as long as I can remember, but this song just grabed me and I relate to it. I sing this song to myself and to anyone that wants to hear it. It's a deep song but for my it's not depressing, it just is there. It's my favorate song to hear or sing in any mood.